Whether you are planning a build, renovating a room, or having an emergency Anchorage Electric is here for you. Give us a call or email to get a free quote today!! At Anchorage Electric we strive to ensure the utmost safety and customer service experience we can. Whether you are renovating your home or you have a new construction project we can meet your needs. Anchorage electric is one of the most experienced, highly trained, and certificated electrical companies in town. All of our electricians meet all the requirements for certification and we require all of our employees to do the same. Anchorage Electric strives to exceed any state requirements in order to exceed our customers’ expectations. We train our staff and employees in all the new technology to meet customers’ needs in our commitment to top level service. Anchorage Electric prides ourselves on work we complete in both residential and commercial settings. Please visit the services page to review just a few of the services our electricians provide. Also, know if there is a particular service you are searching for and you don't see it listed, just give us a call and we can set up a free consultation today. 907-891-8758. Other than the obvious blusters caused by misguided DIY projects, running your own electric may cost you more in the long run. The Matanuska Borough requires all renovations, new construction, and structure changes to be permitted. These permits ensure the safety and reliability of the work being performed, which in turn ensures a better end experience for the customer. We will make sure all jobs that require a permit are done in the most expeditious and cost efficient way. Once the permit is approved we will proceed with the project and once finished we guarantee a passing inspection or the cost of repairs for free. Again, ALL of our work form our electricians is guaranteed. 1. Not everyone on Pinterest is an expert. 2. When the work isn't performed correctly it can cost A LOT of money. Not only having someone come out and fix your mistake but also any 'mistakes' you may have made along the way. 2. Misunderstanding crucial safety steps leading to fires, injuries, or even death. Electricity is dangerous if not handled properly and should be treated as such. 4. Unfinished projects leading to more work or hiring another contractor. The dangers are unlimited to those that are unaware. Avoid the costly mistakes in DIY projects and have a certificated, highly trained, well equipped electrician take care of your electrical needs. Ensure you are using anchorage electricians who are required to have to licenses to work within the municipality. We ensure the level of skill our electricians have are top notch and meet all the certifications and state requirements. Our business is licensed and Insured for the protection of our customers, our electricians, and our business so you can rest assure we will take care of your needs with 100% accuracy. Anchorage Electric will never take on a jobs they can't complete correctly or in a timely manner, although we have yet to find one we couldn't handle. Sometimes we have jobs that require us to remove drywall, flooring, or other material. Some projects are additions, renovations, and new builds we have the companies that will support our needs to our customers. There are the best companies in the Anchorage area. Anchorage Electrics commitment to customer service, professionalism, reliability and safety extend to our partners. The customer will never need to work about additional costs for mistakes our partners may make. Remember, we are here to not only do the best job of any electrical company in Anchorage but to also build a loyal customer base. Anchorage Electric uses only the best equipment and products available on the market. We WILL NEVER reuse old products. We enjoy the access to our wholesale company in which we are able to pass the savings along to our customers. The variety of equipment we use fits all facets and styles so we are able to meet the needs of all our customers. Technology has greatly improved in the last 30 years and Anchorage Electric is proud to say that will provide all the new technology available. More and more people want to install communication systems in their homes including sound and video feed. This is a great tool to use for several reasons. It provides safety and peace of mind. You can even check your locks right from your PHONE!! This system is also great with family members whom are ill or young. You can check on them from different levels in the home. 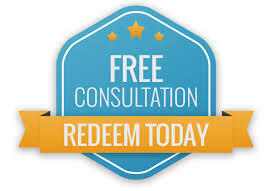 Please call today if you are interested in more information on a free consultation. No job is too big or too small. We enjoy meeting all our neighbors and would love to come help with any projects you may have. Our electricians are some of the best trained technicians in the industry. Many people hope to have the cheapest option to get projects they may think are simple completed. BUT, the majority of our calls have been miscalculated ‘friend fixes’. We at Anchorage Electric get it! We really do. That’s why our prices are extremely competitive and we strive to meet the needs of ALL our neighbors. Live in Eagle River, Chugiak, Wasilla, Palmer, Girdwood, Indian, or even Houston? Give us a call because WE WILL come to see you! Please visit our services page to get some basic information on what we can do. Obviously there isn’t enough time or space to write everything down so if you’ve got a project and you don’t see it listed….CALL. We guarantee that we can get it done! You have a challenging project? We are practically begging you to call us. Anchorage Electric is YOUR company. Just think of us as your family. Our Anchorage electricians work tirelessly to accommodate ALL our customers. Our electricians ensure that all jobs are completed with the satisfaction of our customers in mind and if there are any issues with the completion of our work, we guarantee to fix it immediately. HELP! Its an Emergency We Can Wait a Minute....1 Min..2 Min Ahh....Just Call us tomorrow!